Second Impression: Is it weird that I automatically insert “bowel” before “movement?” I am a child. This DVD allegedly has an introduction by Eckhart Tolle. There he is, lurking in the corner, asking you if you’re going to eat all your fries. Yes I am, Eckhart, knock it off. You can’t go out with friends and not order anything. That isn’t fair. Another thing I learned from Wikipedia is that Eckhart Tolle is married to Kim Eng, the instructor on this video. What must it be like for two such enlightened individuals to be married to one another? I’m sure Kim Eng would never say such a thing. Kim Eng seems like a grounded, spiritual being. She wears a flesh-colored yoga top with gathered ruching at the sides that makes it look like she is crawling out of her own skin. Perhaps after they finished making this video, she turned into a beautiful butterfly. 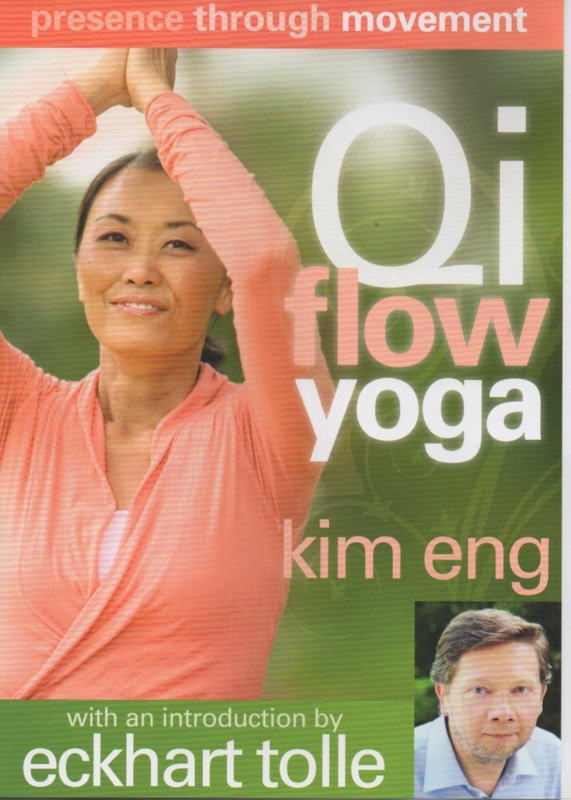 The back of the DVD discloses that Kim Eng developed this routine “intuitively during her own process of awakening.” Well, my intuition tells me I don’t have to take any of this very seriously. One of the most perplexing and enjoyable moves in this workout is called Shaking. You shake out each of your four limbs, and then shake your entire body as would a four-year-old having a tantrum. I suggest using the mantra, “I want my baba” to really get yourself in the right head space.